Your operation involves repairing or replacing the damaged mitral valve in your heart with a mechanical valve (made from synthetic materials) or a tissue valve (usually bovine or porcine in origin). Heart valves open and close to allow the blood to flow in and out of the four chambers of the heart in the right direction. If they are damaged (through infection or disease) they will either not open properly or not close tightly enough and leak. Both problems mean the heart has to pump harder. A repair of your valve or a new valve relieves the strain on the heart and aims to ease symptoms such as breathlessness and chest pain. The operation typically requires a hospital stay of 5-7 seven days and is done under general anaesthesia. This means you will be asleep during the procedure. Once the anaesthetic has taken effect, your surgeon will make a cut (traditionally about 25cm long, mini sternotomy about 10-12cm long), down the middle of your breastbone and open the ribcage to reach the heart. The heart is slowed or stopped (using medication) and blood is re-routed to a heart-lung machine. This takes over the pumping action of the heart and lungs, adding oxygen to the blood and maintaining the circulation. Your surgeon will open the heart chamber and repair your valve or alternatively sew in a new replacement. Blood is then redirected back to your heart and the heart is restarted. The breastbone is re-joined using wires and your chest is closed using dissolvable sutures, stitches or staples. The operation usually takes about 3-4 hours. The preferred treatment for mitral valve disease is to repair the damaged valve; it is important choose a surgeon who has specialist expertise in performing this procedure. The advantages of repairing the valve are significant and include improved life expectancy, avoidance of long-term anticoagulation (use of blood thinners), and better preservation of natural heart function. We use various techniques to repair a mitral valve. For example, a very common cause of severe mitral regurgitation (leaking) is caused by damage to the structure called cordae that support the mitral valve and help it to work properly. When the cordae are damaged, one or more of the leaflets that make up the mitral valve ‘prolapse’ (fall out of place) and prevent the valve from closing normally. To treat this condition, we repair the leaflet by using a new support system (new chords made of GoreTex) or by removing the weakened part of the leaflet and closing it up. When the weak area has been repaired the valve closes normally and stops leaking. Sometimes more extensive reconstruction of the mitral valve leaflets is required and we may need to use stitches to provide additional support to the valve. After fixing the valve leaflet, a special ring is implanted round the valve to provide additional support. This is called an annuloplasty ring which acts as a frame for the valve and has a similar role to a door frame in supporting a door. 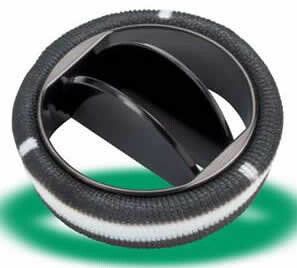 The rings are specially designed to “restore” the base of the valve. 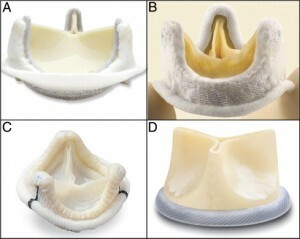 There are a variety of biological valves which can be used for mitral valve replacement. Most are made from cow or pig tissue. The main advantage of this type of valve is that it is associated with a low risk of blood clot formation which if occurs, can cause the valve to malfunction or cause a stroke. The main disadvantage is that these valves have a limited durability as compared with mechanical valves. In other words, they will wear out given enough time. The rate at which they wear out depends on the patient’s age. A young boy might wear out a valve in only a few years, while the same valve might last 10-15 years in middle aged person, and even longer in a patient over the age of 70. Of course, as we grow older we expect that we will not need the valve for as many years as our life expectancy is less. Percutaneous mitral valve repair can be achieved by various techniques. Percutaneous mitral valve repair using the MitraClip ® device has shown the best results to date and requires only local anesthesia. We promote a special catheter from the femoral vein (leg) to the mitral valve. Then, by manipulating the catheter we deploy the MitraClip ® device and the valve is repaired (variety of the Alfieri technique). After the mitral valve is repaired, the patient returns to the high dependency area for observation. The patient leaves the hospital the next day. At present, the technique of percutaneous mitral valve repair is intended only for patients who cannot be operated or they are of very high risk for conventional heart surgery. Outcomes of mitral valve repair for mitral regurgitation due to degenerative disease. David TE. Semin Thorac Cardiovasc Surg. 2007 Summer;19(2):116-20. Mitral valve hemodynamics after repair of acute posterior leaflet prolapse: quadrangular resection versus triangular resection versus neochordoplasty. Padala M, Powell SN, Croft LR, Thourani VH, Yoganathan AP, Adams DH. J Thorac Cardiovasc Surg. 2009 Aug;138(2):309-15. How does the use of polytetrafluoroethylene neochordae for posterior mitral valve prolapse (loop technique) compare with leaflet resection? A prospective randomized trial. Falk V, Seeburger J, Czesla M, Borger MA, Willige J, Kuntze T, Doll N, Borger F, Perrier P, Mohr FW. J Thorac Cardiovasc Surg. 2008 Nov;136(5):1205; discussion 1205-6. Mitral valve repair for advanced myxomatous degeneration with posterior displacement of the mitral annulus. Newcomb AE, David TE, Lad VS, Bobiarski J, Armstrong S, Maganti M. J Thorac Cardiovasc Surg. 2008 Dec;136(6):1503-9.